Bluetail Medical Group always appreciates feedback from our valued patients. To date, we’re thrilled to have collected 391 reviews with an average rating of 4.9 out of 5 stars. 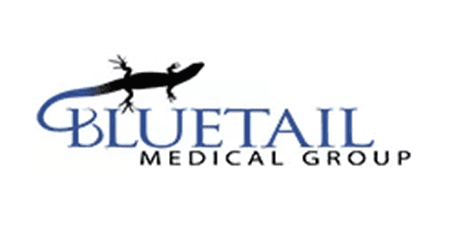 Please read what others are saying about Bluetail Medical Group below, and as always, we would love to collect your feedback. I always feel like everything I’m saying is really important and it’s really happy knowing that he really cares about my well being. Very knowledgeable and efficient. The nurse also was very helpful with her own experience with having injections herself. The folks in this group are extremely competent and knowledgeable. My care was in the best of hands, staff had such cheerful, helpful attitudes. This is a great place to get better! Everyone very personable & showed and explained procedures as they went. Thank you. Dr Oliver and her competent staff have treated & helped me heal from various injuries over the years from a hamstring tear to shoulder and bicep injuries.I have all the confidence in Dr Oliver's ability to treat or refer to another physician if she doesn't feel her treatment will help. Awesome team! Very courteous & welcoming. I had my knee & hip injected, with total recovery in 8weeks, for the knee & still need more time for the hip. Thanks for taking such great care of me. Checked in and went back within 5 minutes.I can’t say enough about the good work and results done here.If you want results this is the place.